Applications: Cutting of rough timber, possibly with embedded nails. 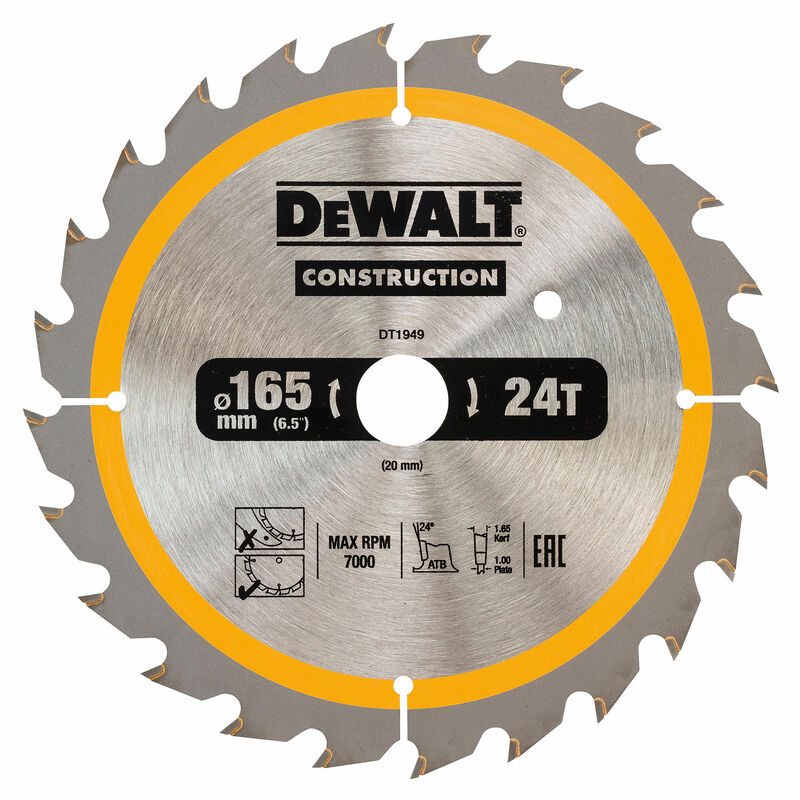 This general purpose circular saw blade can handle cutting rough timber and nail-embedded wood. 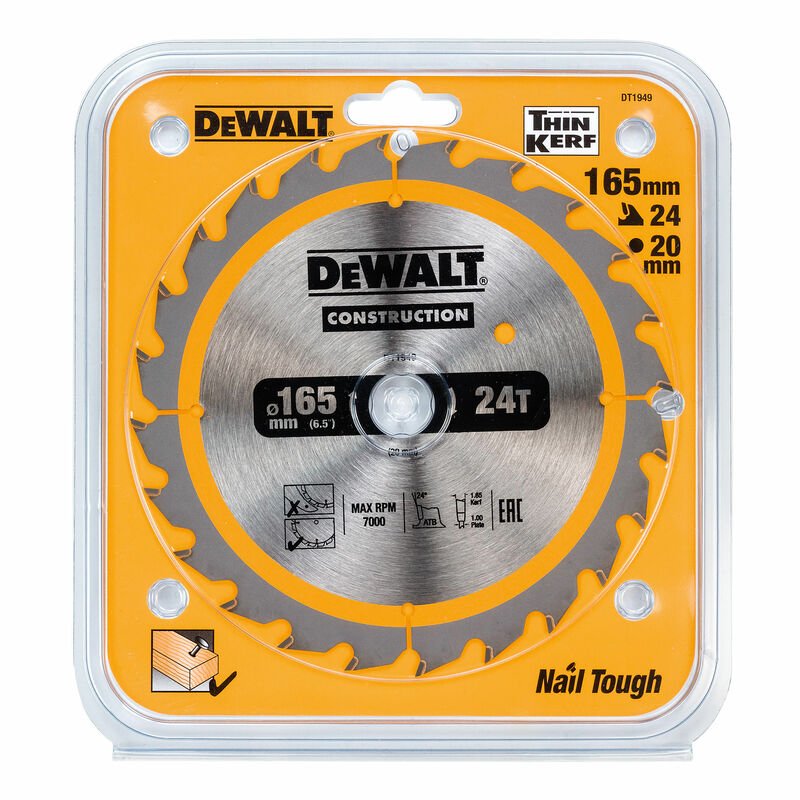 With a thin kerf and ultra-sharp cutting edges to reduce splinters. 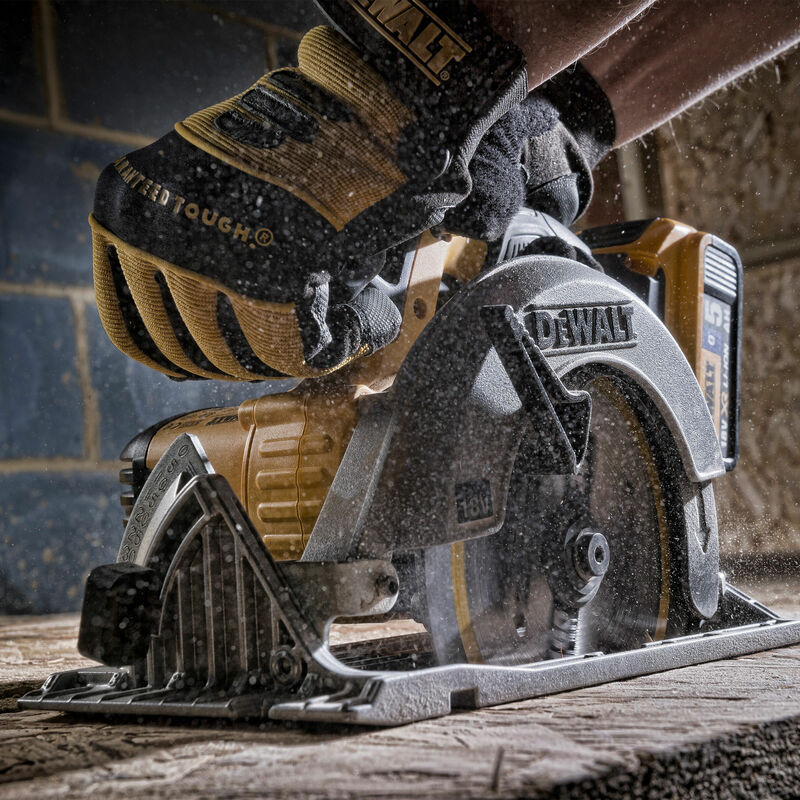 The thin kerf blade design gives more cuts per charge by minimising battery drain. Tungsten carbide-tipped for resistance to chipping and cracking.